Located on the western side of the township, the man-made Lake Indawarra lake has recently benefited from extensive restoration and revegetation. A newly constructed walking trail surrounds the lake and is a pleasant short walk. A competition at the school to name the lake was held and Lake Indawarra, which is an Aboriginal name meaning “many lakes” or “small lagoon” was the winner. Lake Indawarra was officially opened in March 1980. It was used principally as a boating lake and many home made boats were tried and tested on the water. In 2007, combined community groups started a major upgrade, this consisted of walking trails, revegetation and water quality improvements. Thanks to an injection of grant funding, this made it possible for local children to learn and investigate about water quality, birds, frogs and fish! Since this time, the lake has been Enjoyed locally as a popular swimming spot and picnic area. In 2017, the community were successful in securing extra funding to further deepen and clean out the lake, through the South Australian government’s Fund My Neighbourhood program. 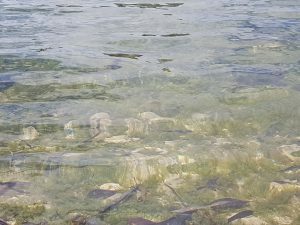 This has allowed the lake to be almost tripled in volume, lowering summer smells, stabilising water quality and creating enough area for up to three Canoe Polo courts to be set up, which will allow national competitions to be played here in the future. Over the last 10 years, the Lake is becoming increasingly popular spot to stop, rest & relax, , with the Coorong District Council, Tintinara Men’s Shed and Tintinara Action Club installing a public toilet, BBQ shelter, a solar light signage and picnic tables in the precinct. 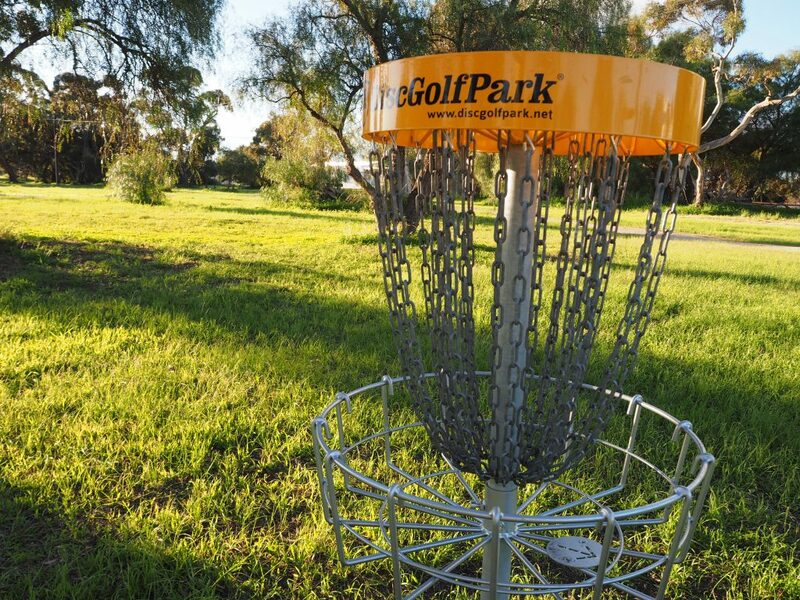 South Australia’s only Golf Disc Park is located on the shores of Lake Indawarra.